Need to email Us? why dont you simply scan our QR code instead. Beautiful floors that are carefully and artistically designed can significantly enhance the appearance of your house. In fact, your flooring does not only contribute to the aesthetic appearance of your home but can also influence your overall feeling when you are at home. When it comes to flooring your home, you will need the services of a competent flooring company. Whether you are renovating or constructing a new home, sourcing the best company is the only way to elevate the appearance of your home. 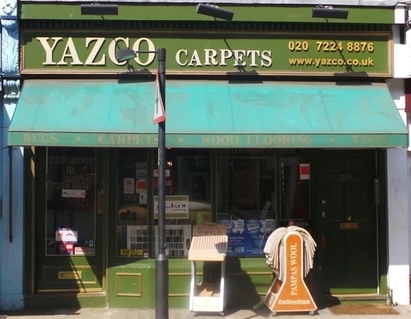 Yazco Carpets Ltd is a family owned and operated flooring company with over 15 years experience servicing homes in central London. We can cater to all your flooring needs; whether you need vinyl, wood, carpet, carpet tile or laminate flooring you will find it here at a price you cannot refuse. Our experienced and capable members of staff are devoted to helping you reinvent the appearance of your home whilst still adhering to your budget. Our goal is to bring to life the floor you always dreamt of and desired for your home. We offer the best services for flooring in central London. Our ideal location situated in west london (W1) gives us an advantage in delivering a fast and effecient service both within central London and its surrounding areas. We fully acknowledge the fact that you will have several companies offering the “same services.” However, there is no other company with the level of devotion, quality service, skills, commitment and prices that we offer; if you find one let us know and we will beat it. Your flooring needs are our priority and as such we strive to continue improving our skills and techniques to ensure that you get the services you deserve. When it comes to opening your home to someone, you should always choose someone you can trust. At Yazco Carpets we strive to build communication and trust with our customers by offering friendly, yet professional services. Our aim is to build customer relations by providing quality and efficient services to all customers. Most importantly our rates are unbeatable. We provide free advice and estimate in order to help you reduce your expenses. Whether you own a commercial or residential property Yazco Carpets can help you to acquire your dream floor. We have an extensive inventory with all the latest equipment to enhance proficiency and accuracy in our services. Poorly constructed floors are more vulnerable to damage by water and other treats. At Yazco Carpets we seek to help you minimise your expenses by offering quality services to provide you with long-lasting floors. We work fast and accurately, so you can return to enjoying your newly improved home in the least amount of time. Customer satisfaction is of the utmost importance, and we appreciate and cherish our customers for their loyalty to us for the past 15 years. 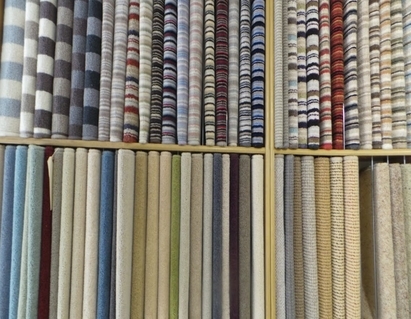 We work with manufacturers to bring our customers the largest possible range of flooring, these are Brintons, Crucial trading, Regency Carpets, Cavalier, Amtico, Louis de Poortere and many more in our showroom located in central London. To learn more about our vinyl, wood, carpet or laminate flooring services, browse our website or give us a call now. 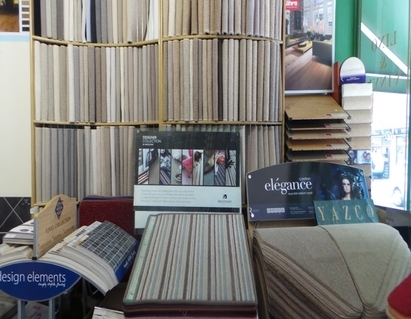 We are here to cater to all your flooring needs from our central London showroom. Please contact us for free advice and estimate without any obligations.